The Velo city bikes are a form of public transport, they take you anywhere you want to be and are easily combinable with train, tram and bus. 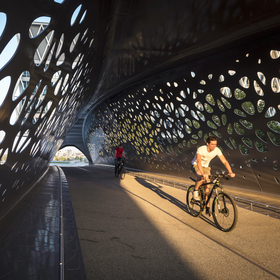 The bikes are ideal for short distances in the city. That way, a maximum number of people can use them. The first half hour of each ride is included in the registration fee. Longer rides incur an extra fee. If you intend to cycle for half a day or a day, we suggest you approach another bike hire operator. Hiring a bike is simple. You can buy a year, week or day pass. Or visit our information desk on the Market Square where you can buy a day or week pass using the customer computer or the terminal located at the entrance. 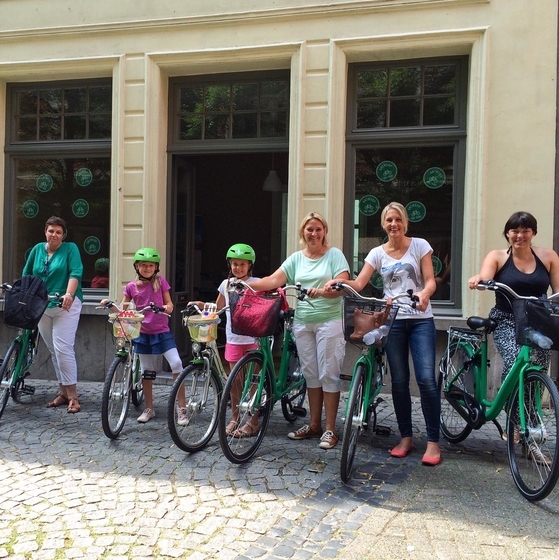 The bike hire system is as easy as riding a bike! If you have a year pass, you can help yourself to a bike from one of the many stations. With a week or day pass, you obtain a user code and choose a password, both of which need to be entered into the terminal of the station of your choice, and off you go. When you’re finished with the bike, you can simply leave it at the station nearest to your destination. The Velo bikes are available 24/7, 365 days of the year. 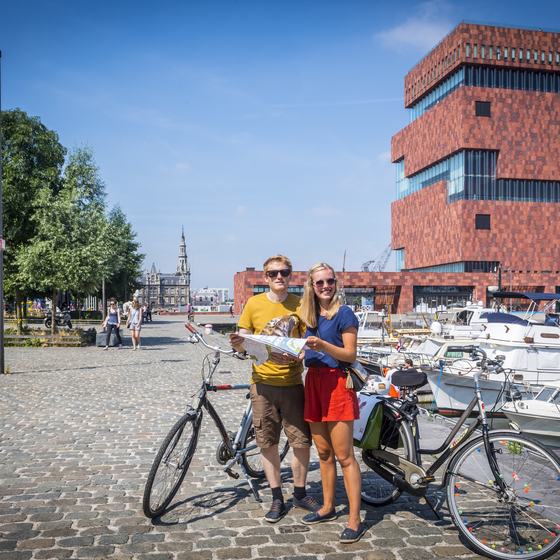 For the location of the stations, frequently asked questions and a list of rates, please visit www.velo-antwerpen.be. 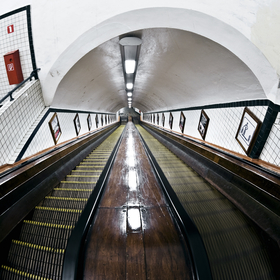 St Anna’s Tunnel – or Underpass, as the locals like to refer to it – was opened in 1933. Just like the rest of Flanders, Antwerp is crazy about cycling. It is an excellent means of transportation for short distances. In need of a rental bike? Antwerp has several bicycle rental shops. Cyclant organises several tours a week, during which you explore well-known and lesser-known parts of the city with an experienced guide. Cycling is fun for young and old. 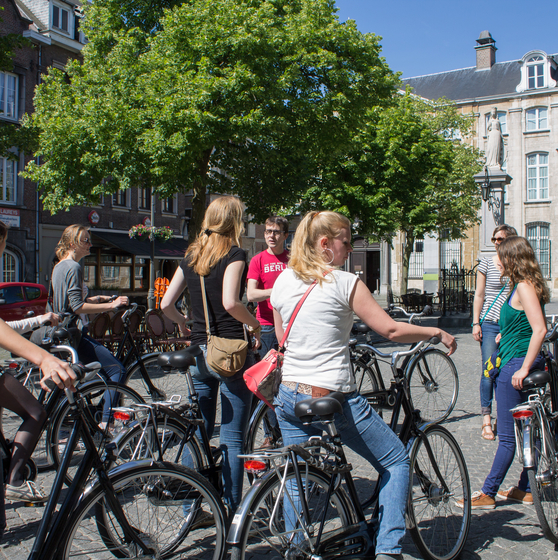 Discovering a city in a small group by bike and with a guide gives you a totally different perspective. The route ‘Cycling along the river’ is your guide for a pleasant 37K bike ride along and across the river Scheldt.